Cuban – O Hei There! Gloria’s or Versailles? That’s always the question when I want to go somewhere within walking distance from my apartment. Sure they’re different cuisines (Gloria’s being Mexican/El Salvadorian and Versailles being Cuban), but they’re both Latin, so that’s close enough to compare side-by-side in my opinion (and all Asians look like, no?). Bad jokes aside, I probably choose Gloria’s 90% of the time. But Lawrence never had Versailles before, so him, Ben and myself went last Wednesday after playing basketball. 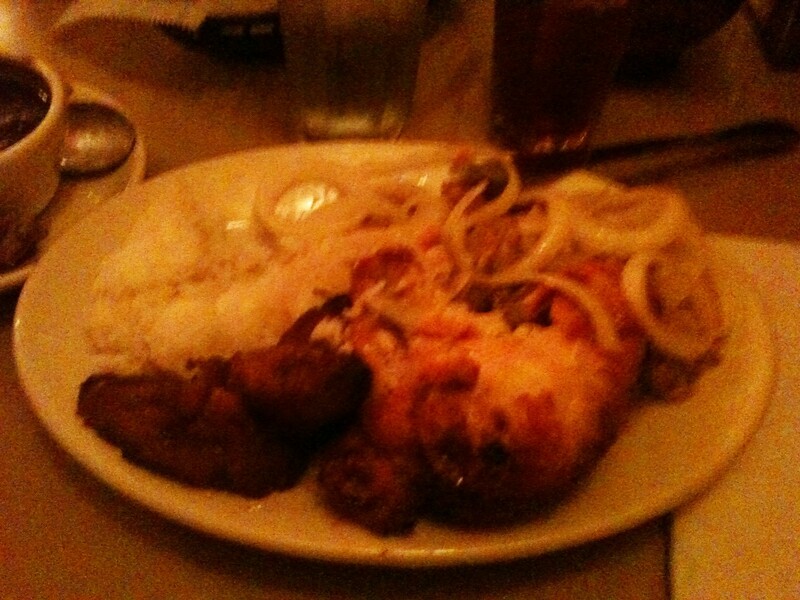 The two dishes that Versailles is most popular for are Lechon Asado (Cuban Style Roasted Pork) and Famoso Pollo Versailles (Versailles Famous Garlic Chicken). Ben and Lawrence ordered the two, respectively, while I ordered the Combinacion De Pollo y Puerco (combination of the two proteins). Each of the entrees comes with some raw onions, plantains, rice and black beans. The meat is smothered in their garlic sauce, which is more tangy and lemony more than anything else. 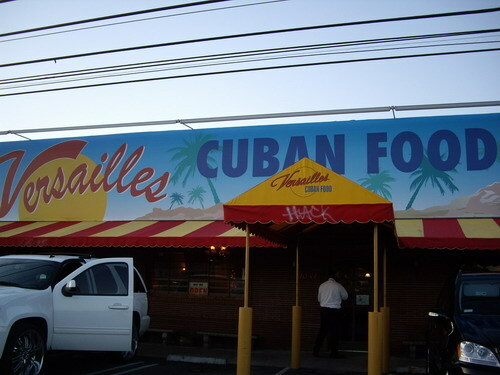 If you don’t like that type of flavor with meat, then Versailles probably isn’t your thing. But I like it just fine. I don’t, however, think that Versailles is the best of the Latin American restaurants in L.A., like many people proclaim. Note: credit Wedding Mapper for the first photo.